Julie Schumacher, author of "Dear Committee Members"
Minnesota author Julie Schumacher reads from her acclaimed novel Dear Committee Members - a funny and acidic satire of the peculiarities of the Ivory Tower that is recognizable to anyone who has encountered the bureaucracy and internal politics of higher education. Julie Schumacher reads from "The Unbearable Book Club for Unsinkable Girls"
Adrienne Haus is the survivor of a mother-daughter book club. Most of them didn’t want to join; her mother signed her up because she was stuck at home all summer, with her knee in a brace. CeeCee’s parents forced her to join after cancelling her Paris trip because she bashed up their car. The members of “The Unbearable Book Club”—CeeCee, Jill, Wallis, and Adrienne—were all going into eleventh-grade A.P. English. But they weren’t friends. They were literary prisoners, sweating, reading classics, and hanging out at the pool. If you want to find out how membership in a book club can end up with a person being dead, open this book and read her essay, which she’ll turn in when she goes back to school. . . .
Julie Schumacher grew up in Wilmington, Delaware. Her first novel, The Body Is Water, was published by Soho Press in 1995 and was an ALA Notable Book of the Year and a finalist for the PEN/Hemingway Award and the Minnesota Book Award. Her other books include a short story collection, An Explanation for Chaos, and five books for younger readers: The Unbearable Book Club for Unsinkable Girls (available May 8), Black Box, The Book of One Hundred Truths, The Chain Letter, and Grass Angel. 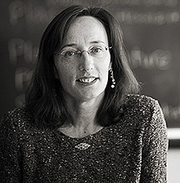 Julie Schumacher lives in St. Paul and is a faculty member in the Creative Writing Program and the Department of English at the University of Minnesota. Julie Schumacher , The Book of One Hundred Truths. Thea's mother has given her a journal to write in during her summer stay with her grandparents. The catch is that Thea is to write down four truths a day, which might be difficult for someone who identifies herself as "a liar". Thea's surrounded by family all summer including a pesty young cousin and two aunts who seem to be caught up in a web of lies themselves. Julie Schumacher's wonderful story reminds us that even though we can't pick our relatives, they are often the ones that are there for us in the end. And that's no lie! Join us Monday, June 23rd at 7:00 p.m. and to discuss the book with the author, Julie Schumacher, herself! Julie Schumacher is currently considered a "single author." If one or more works are by a distinct, homonymous authors, go ahead and split the author. Julie Schumacher is composed of 2 names. You can examine and separate out names.